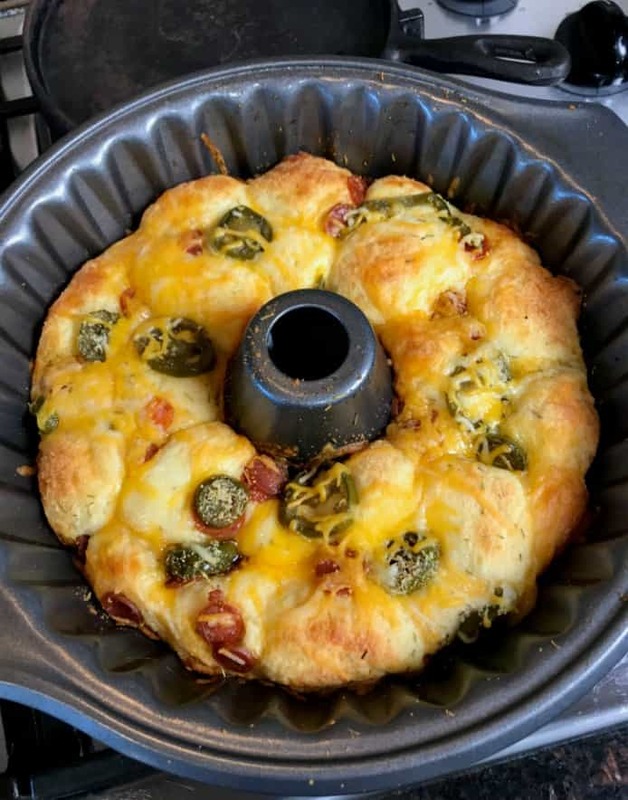 This recipe is definitely not your typical monkey bread type recipe. You know where I got this idea from? 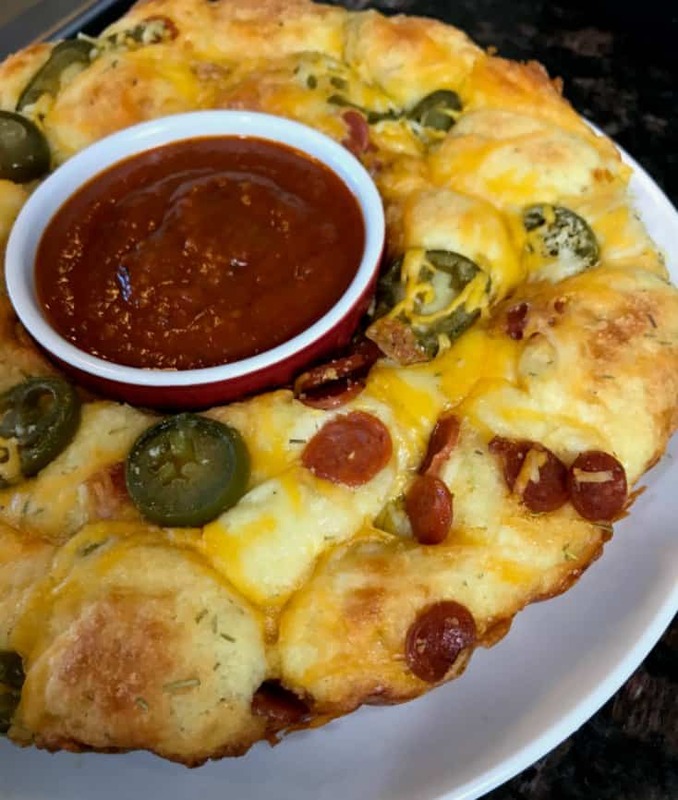 Long before the Keto diet was ever even a thought in my head I used to make this Easy Pull Apart Pizza Bread recipe. It was crazy viral back when Pinterest first came out. It’s been a favorite ever since I learned about it and we definitely make it around any major sports events or parties in this house. 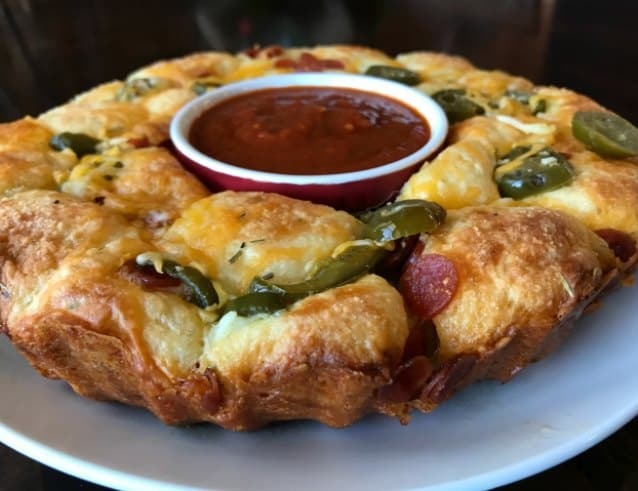 I just had to figure out a way to make this fit into our Keto way of eating. What is the Beef and Butter Fast? 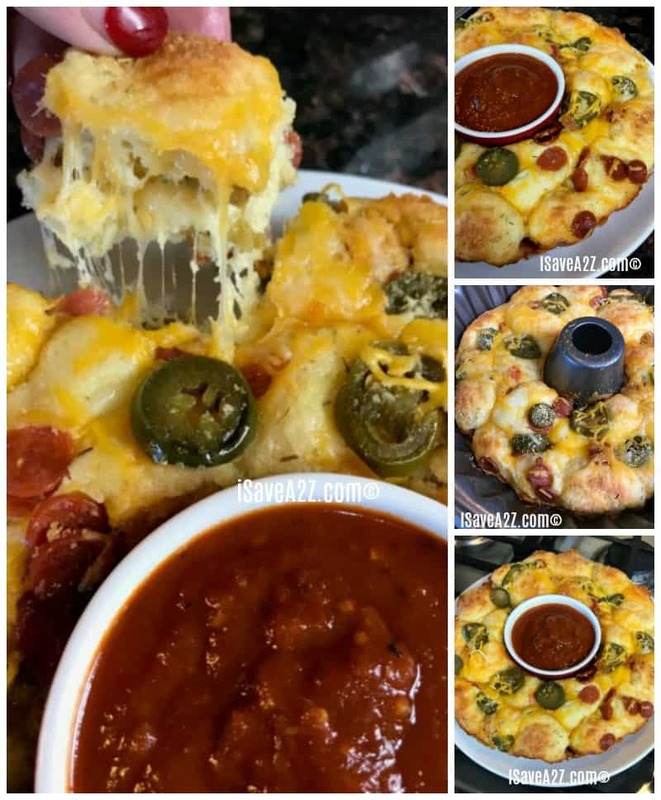 By Jennifer on January 28, 2018 Appetizer, Keto Appetizer Ideas, Keto Dinner Recipes, Keto Friendly Recipes, Keto Lunch Recipes, Recipes, Snacks, Weight Watchers. 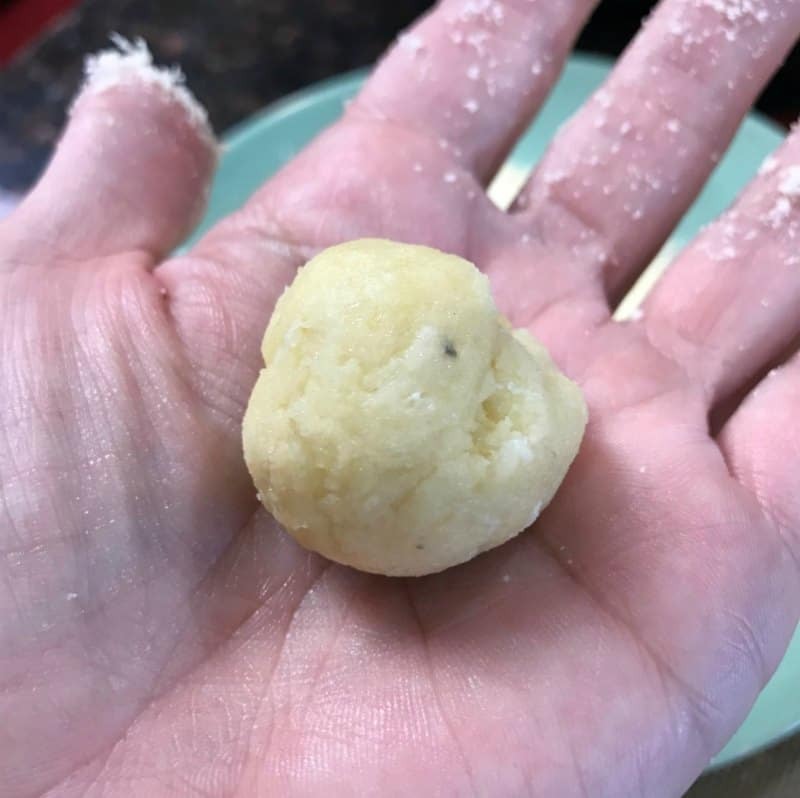 Do you know if this dough can be formed into balls and then frozen? 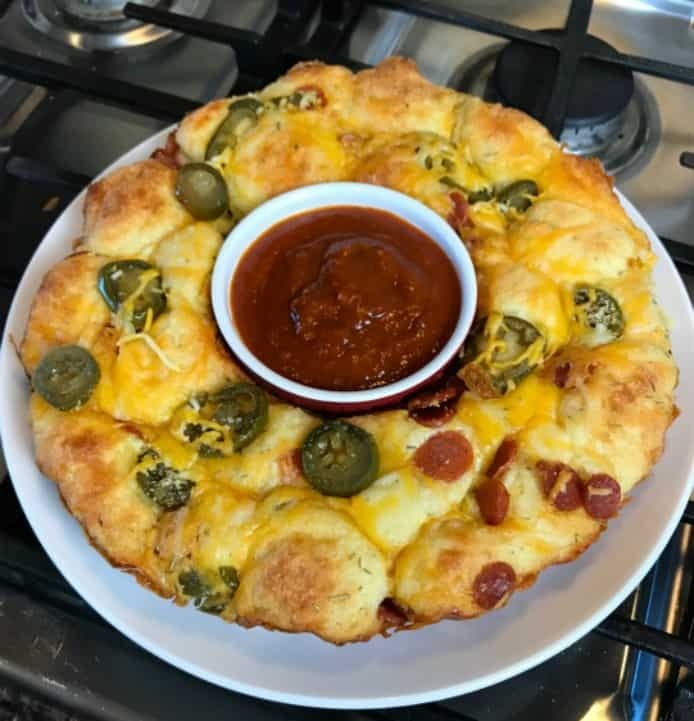 It would be perfect to have a few bags of these dough balls in the freezer ready to go. This was amazing!! 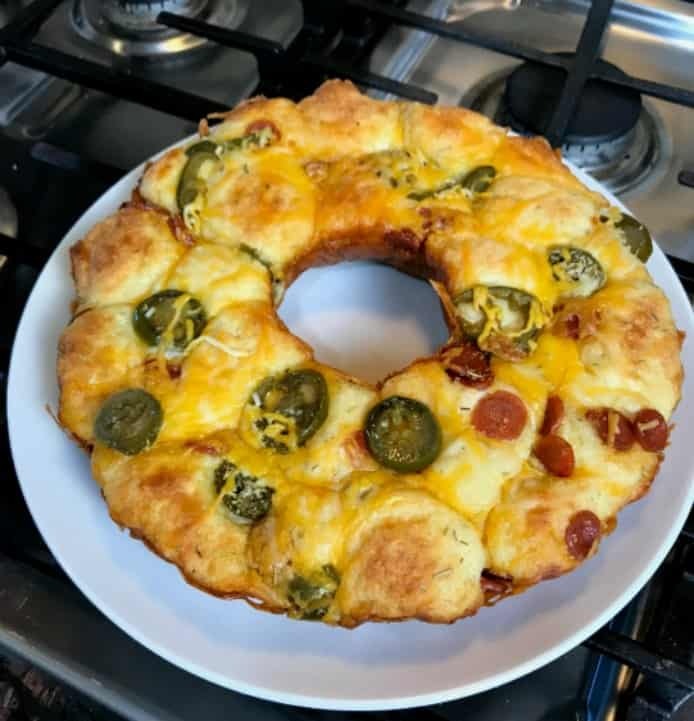 I used a 4×8 Pyrex dish as I didn’t have a bundt pan, worked great just didn’t really get multiple layers really but my husband (keto) and 15 yo son (only keto by default of eating what we eat) loved it!! I made this last week and it was soooo delicious. 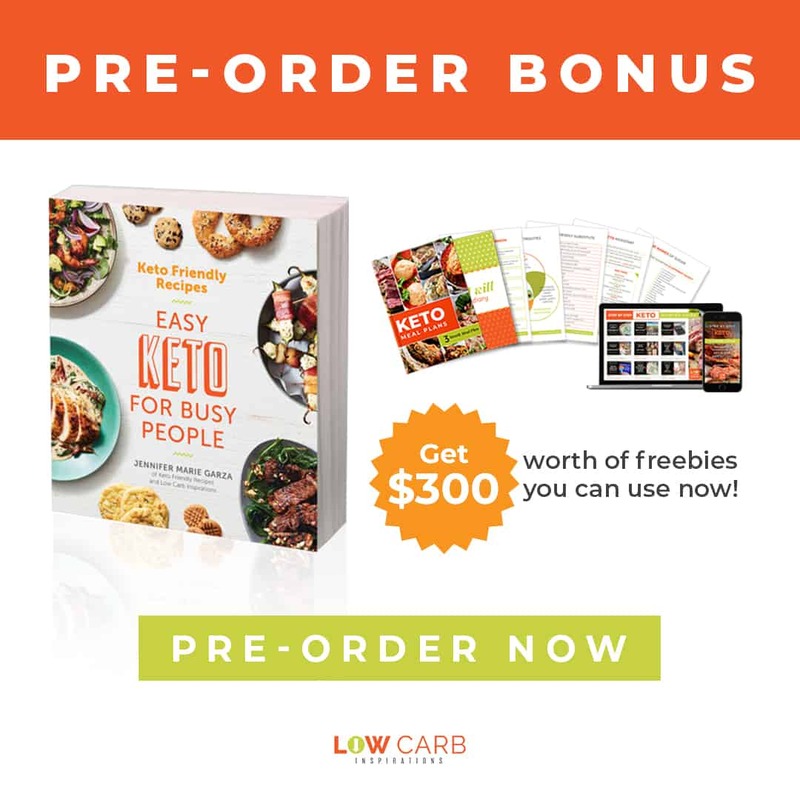 It is hard to believe it is low carb.. 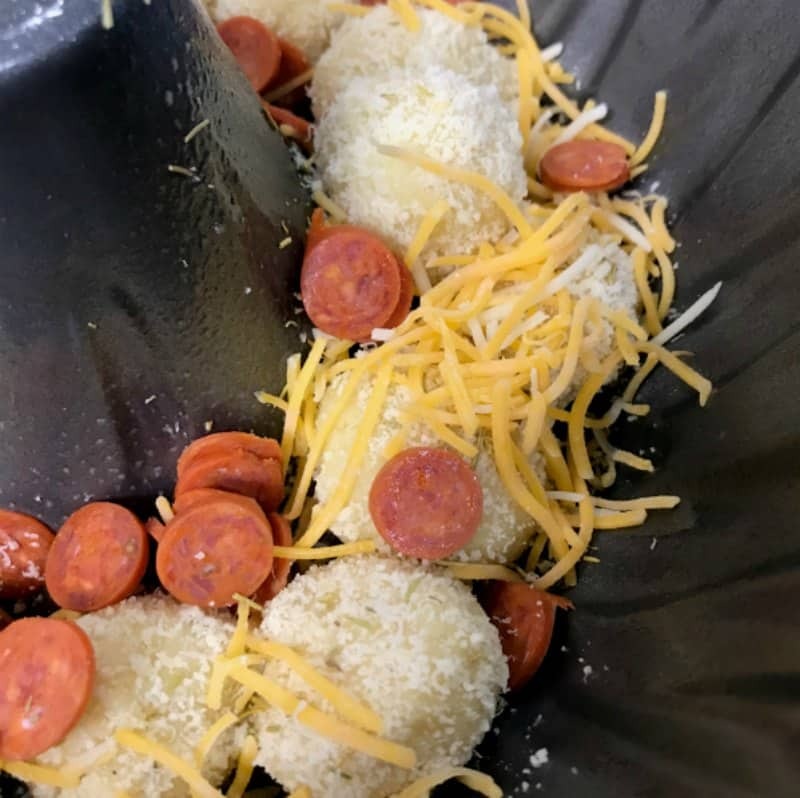 I used shredded Italian cheese mixture (6 different kinds) and added a little Italian seasoning along with rosemary to the parmesan mixture and I just sliced the pepperoni rounds I had. 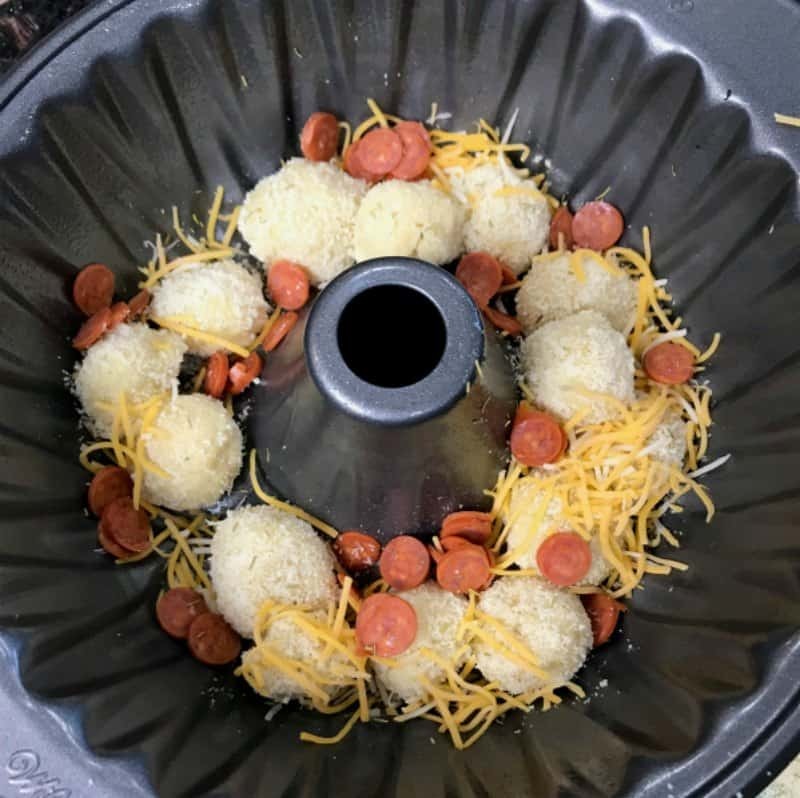 Do you mix the rosemary with the parmesan that you roll the balls into? The parmesan is topped with the rosemary yes. 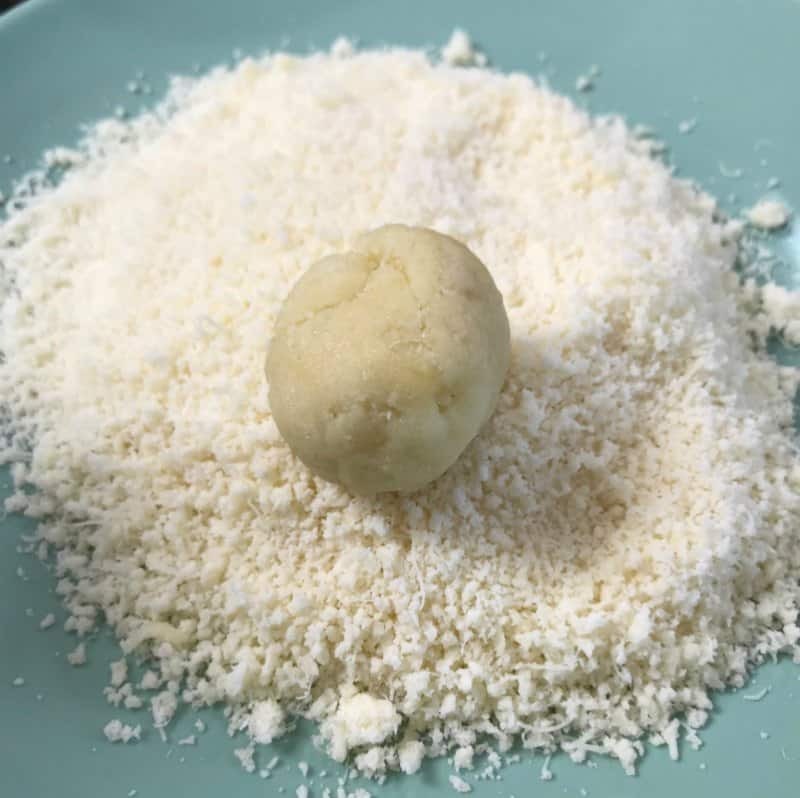 Can u sub almond flour for coconut flour? I have made it twice now with varition. I didn’t have the powdered parmesan, but I just added in more almknd flour like I would do gor regular flour. This bread is so good! It is very easy and fast to make. My 9 year ikd nephew LOVES it! This is was TOTAL HIT! 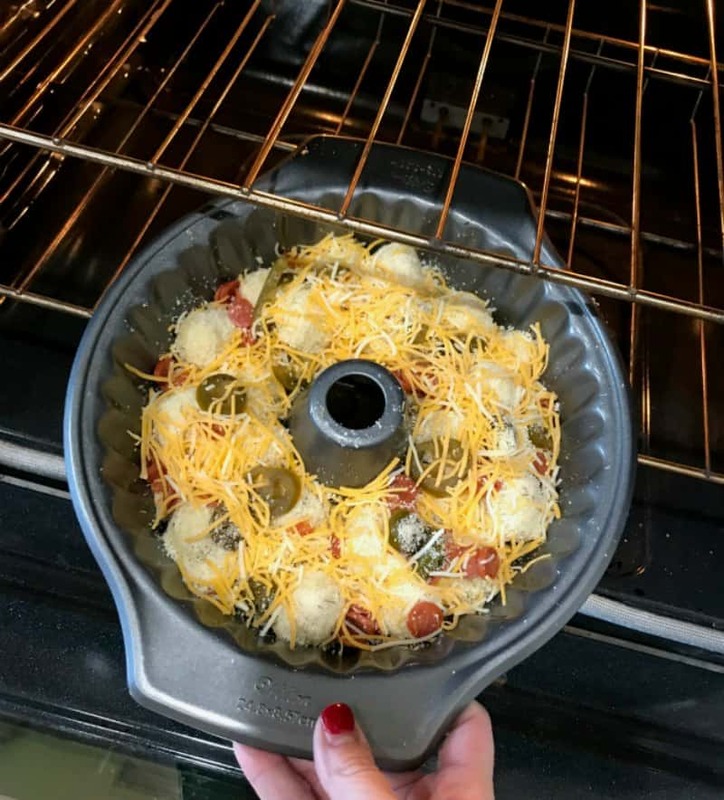 My fiance and picky eater ate some lol, but I am making this again tonight! 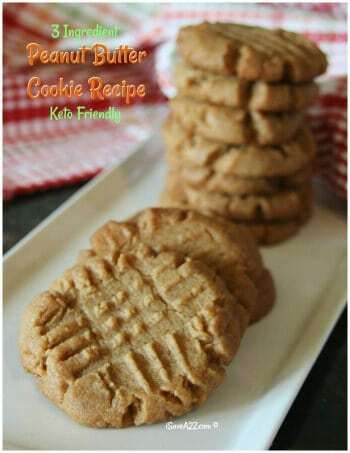 Thank you so much for this recipe!!!! Let me know how I can give you credit on IG!!! 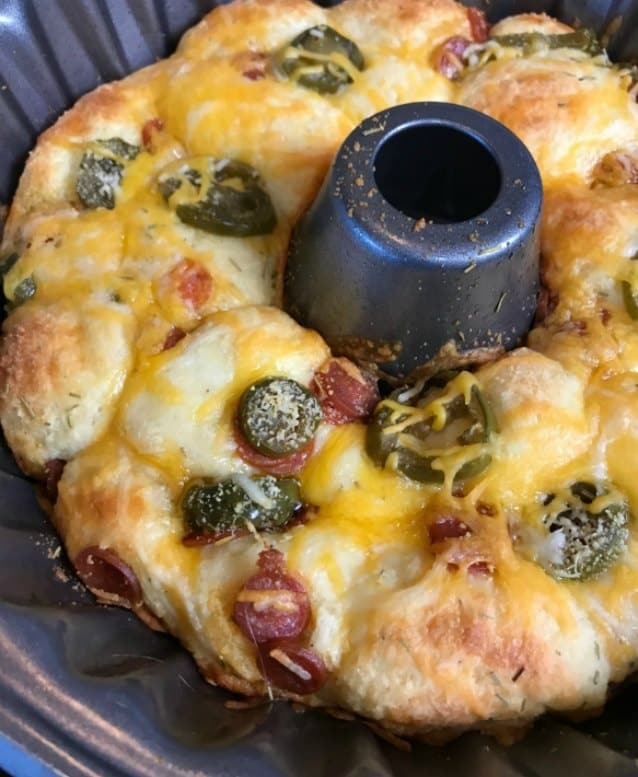 This recipe was so good! 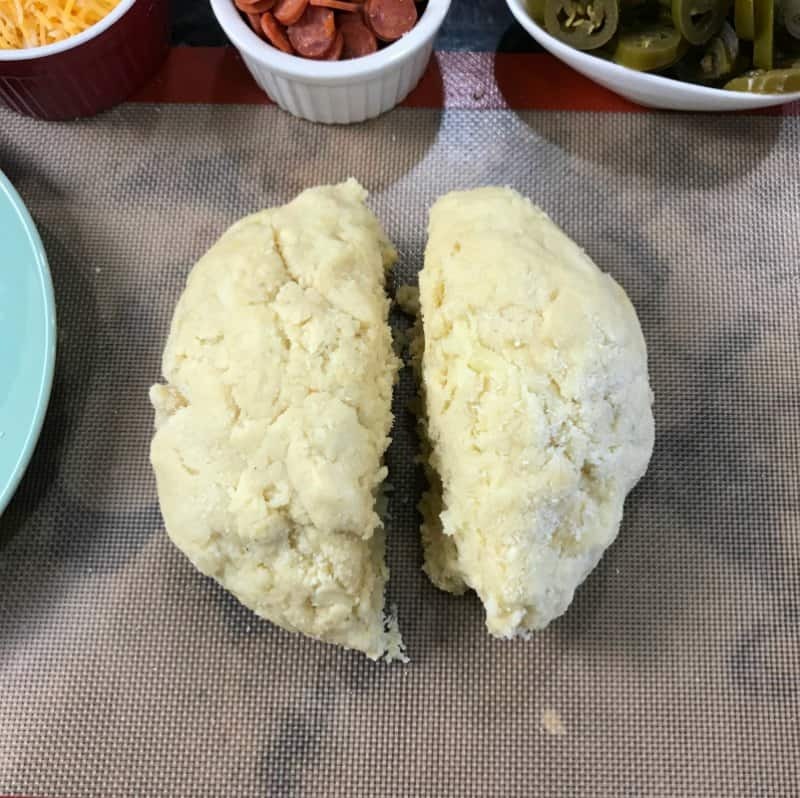 I used bacon instead of pepperoni and sprinkled the parmesan mixture for the dough balls with a little almond flour to help them keep from sticking. Delicious! O-M-G…this is excellent, exactly what we needed!! This will be a staple in our house for sure!! Looks yummy. 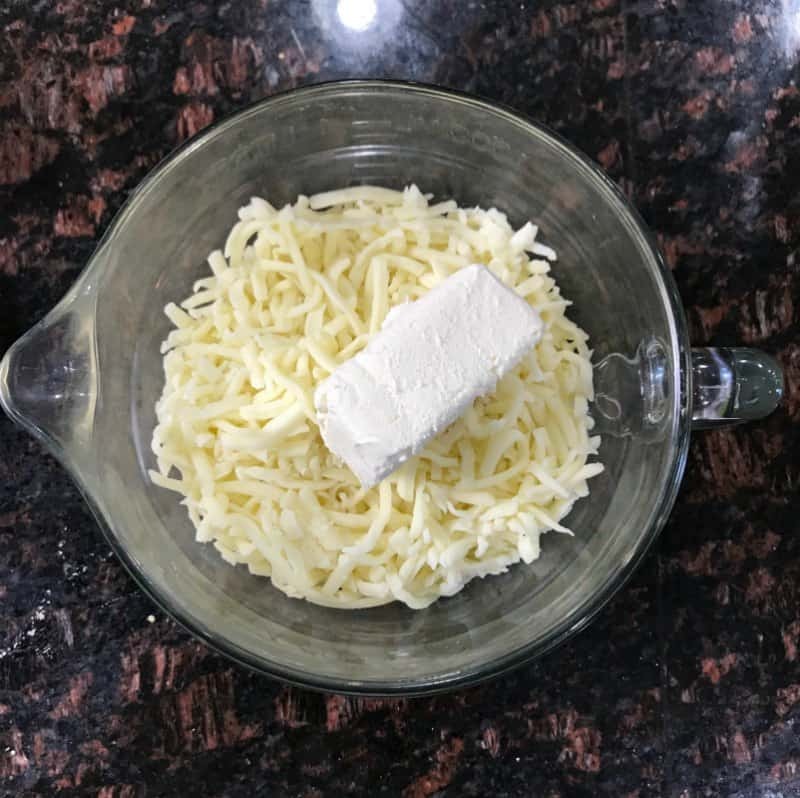 Did yoy use powdered parmesan from can or freshly grated parm fromba wedge? 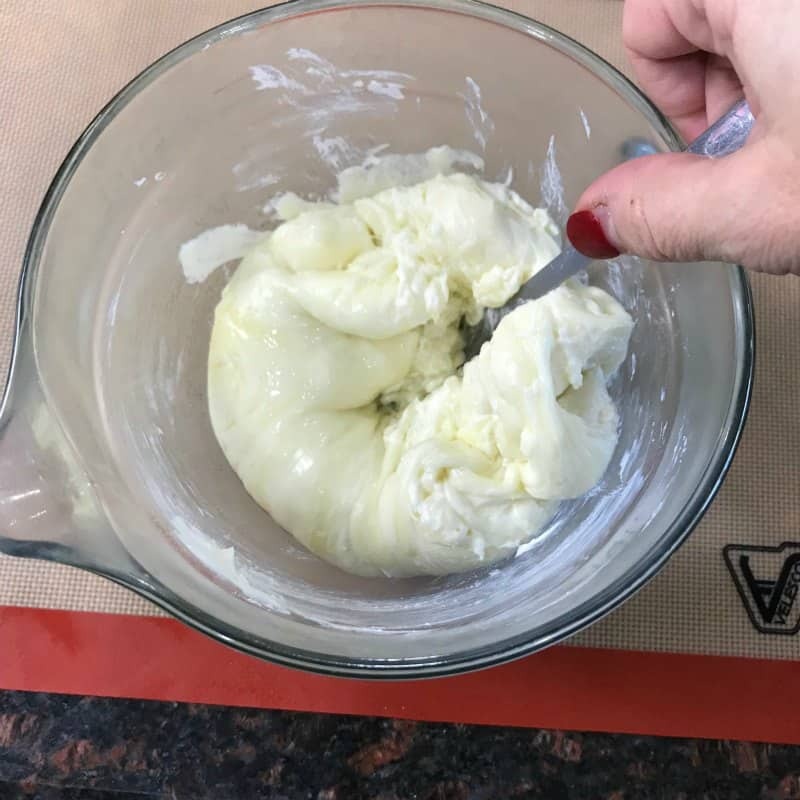 I used the powdered form in this recipe. I made this today and my teenaged son even liked it! Will definitely make this again! This was delicious! 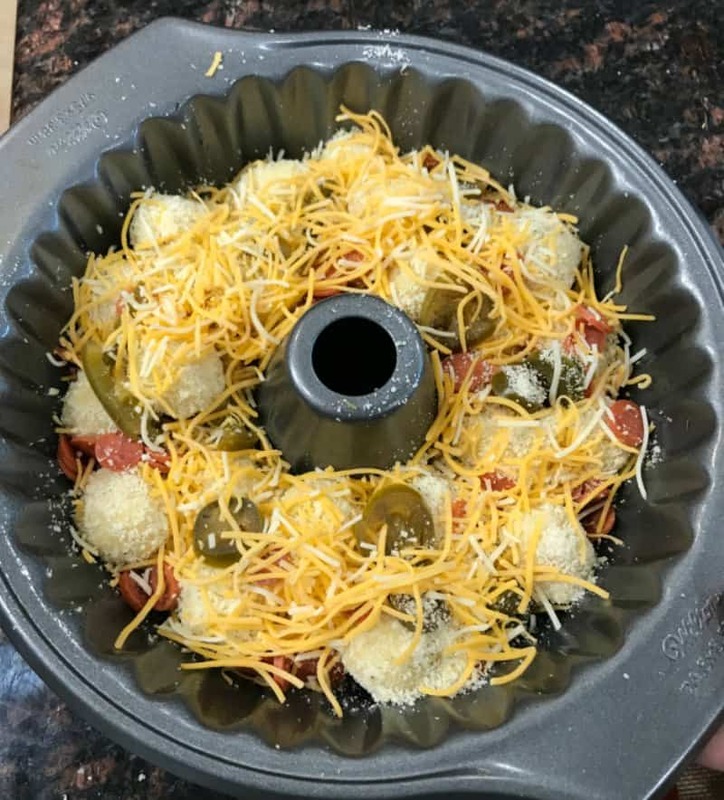 I added black olives and mozzarella to the recipe. 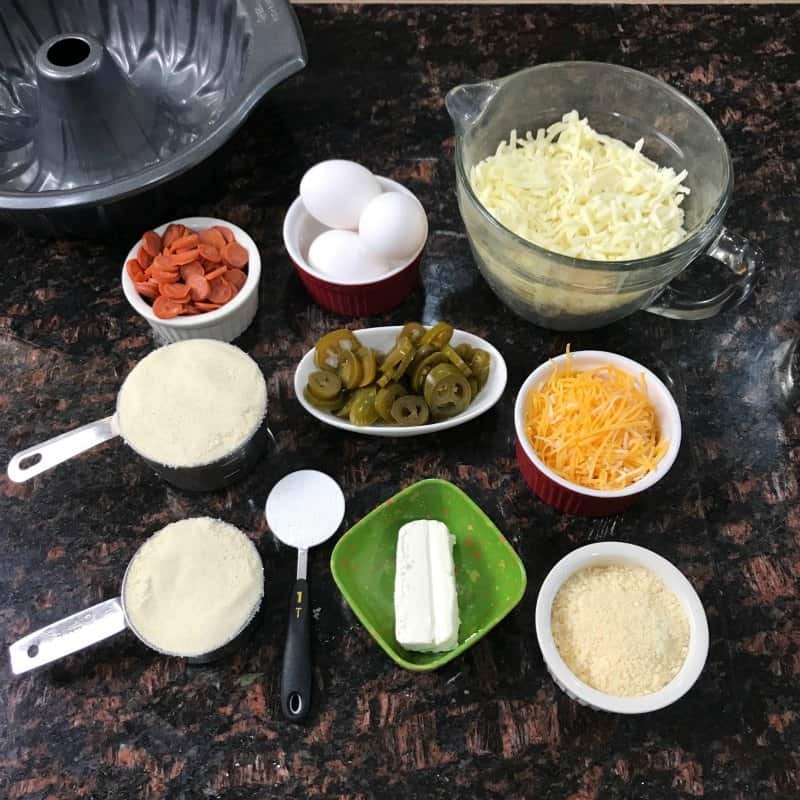 Serve with ranch – amazing! 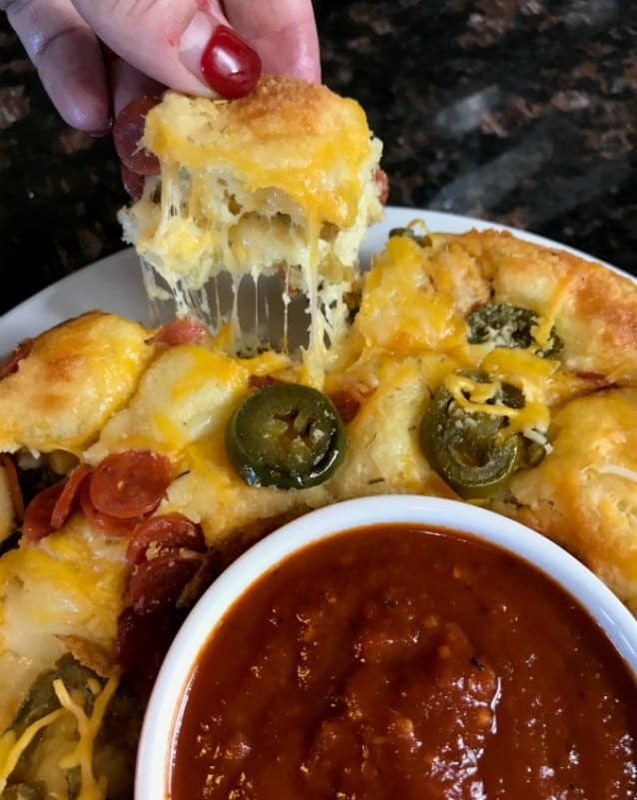 Holy cow….First off, thank you for this recipe. Just made it for the first time tonight and it turned out delicious! Can’t wait to make it again! O.M.G. this came out awesome!!!!! I do not often comment on blog posts. But this was SO AMAZING that I had to come thank you. 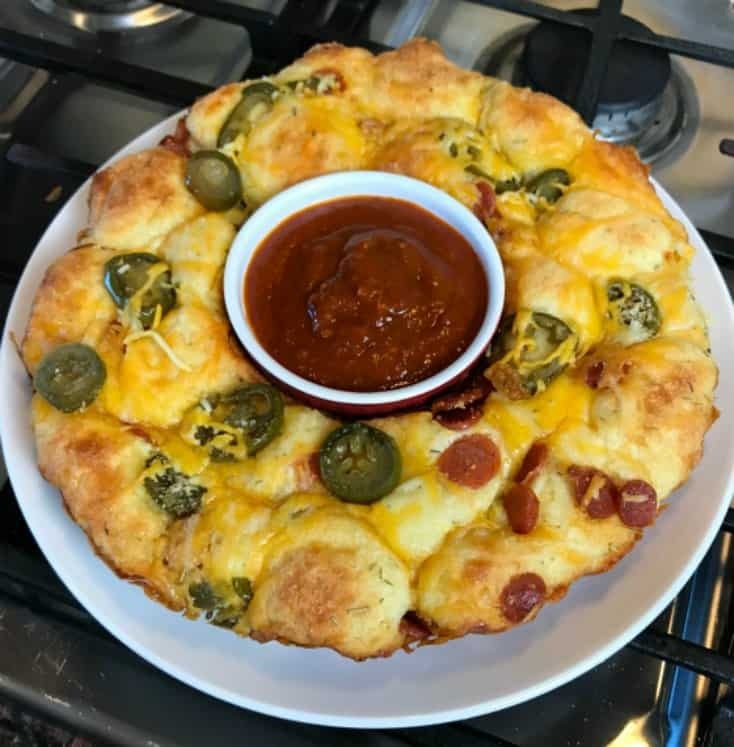 After two failed attempts at keto-pizza (one disgusting and one soggy-both from other sites), this delicious dish is a welcome addition to my recipe collection. 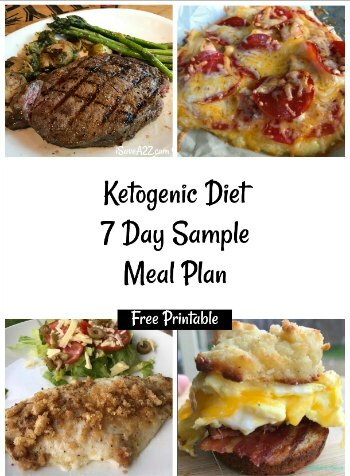 If you are like me and read a bunch of comments before deciding to try a recipe, make this as soon as possible. SO GOOD! This just looks fantastic. 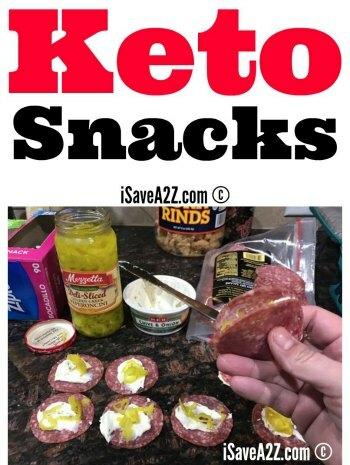 Next recipe to make on my list! Very good. The bready texture was awesome after weeks without bread. It was easy to make also! I tried this tonight. 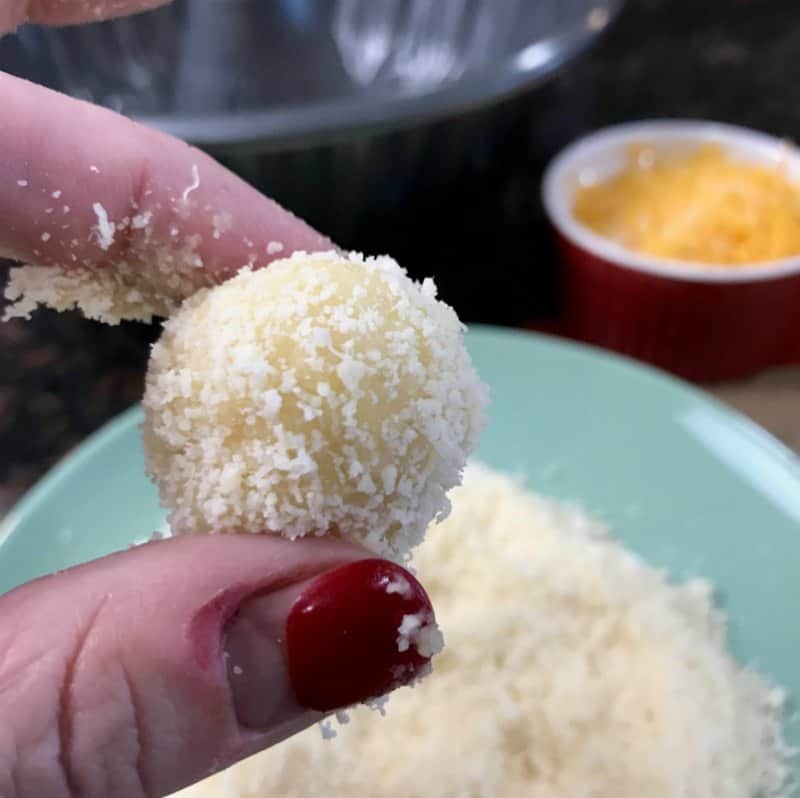 I used fresh grated parmesan cheese, and it didn’t work well. 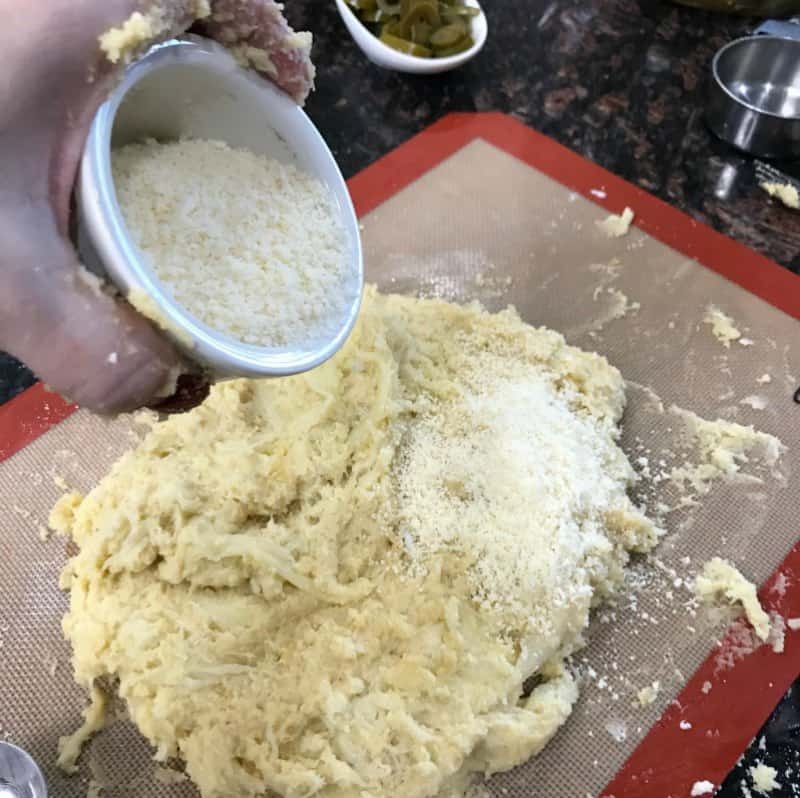 I should have realized from the posted pictures that this was made with parm you buy already grated (like Kraft brand). 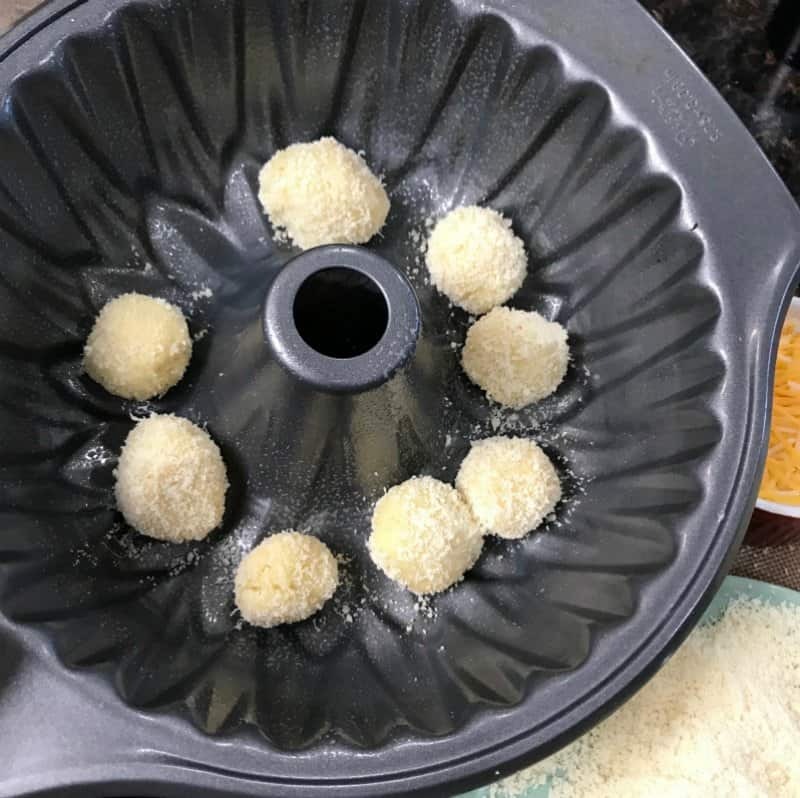 The problem with grating your own is that the pieces are bigger and it doesn’t coat the dough balls completely. . . 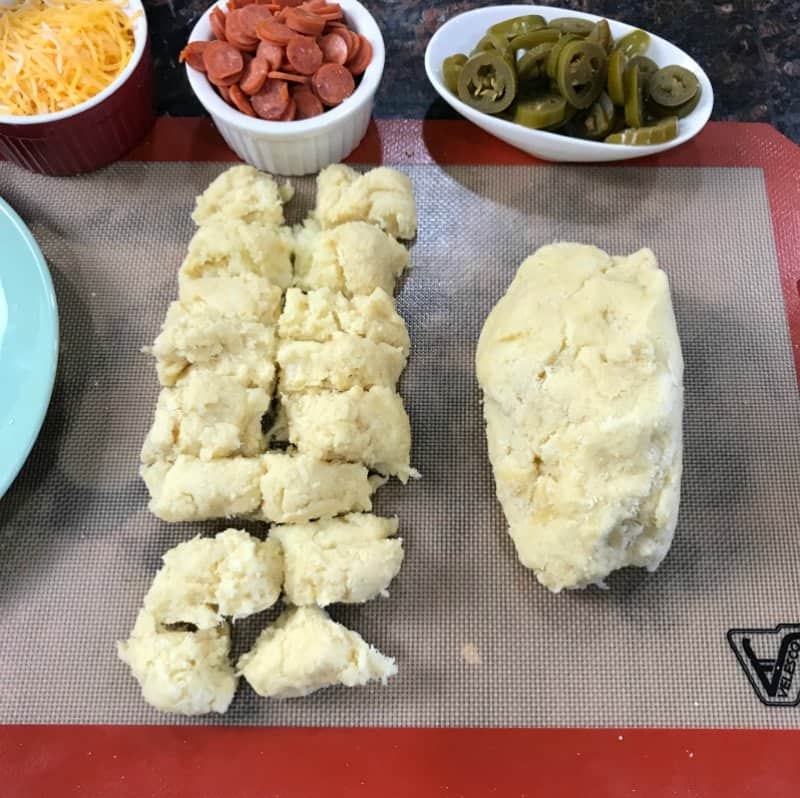 Totally losing the idea of pull apart bread! Flavor was great. 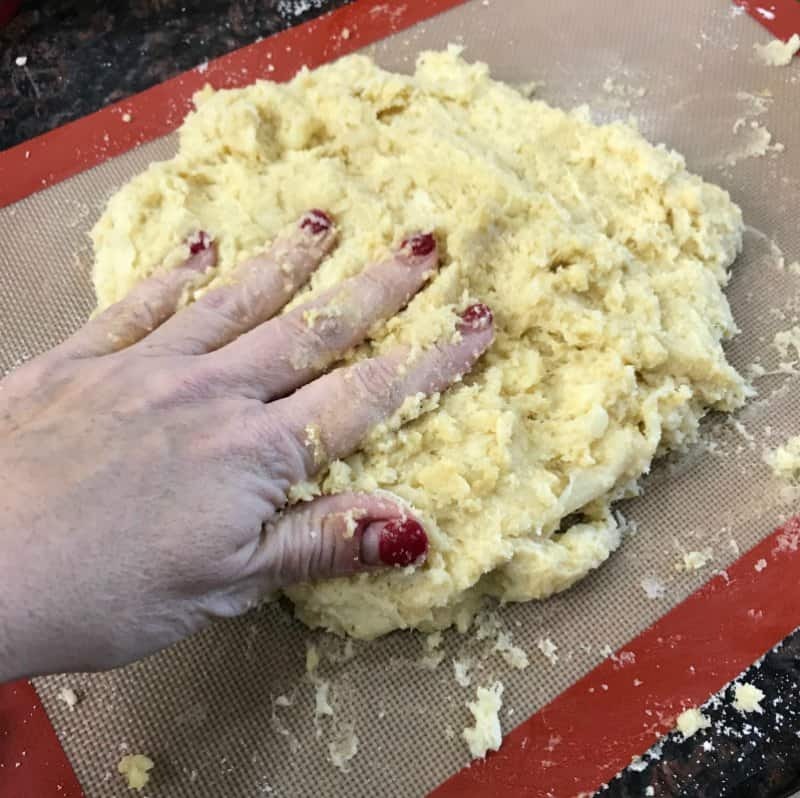 Dough was easy to work with. And instructions were easy to follow and complete. 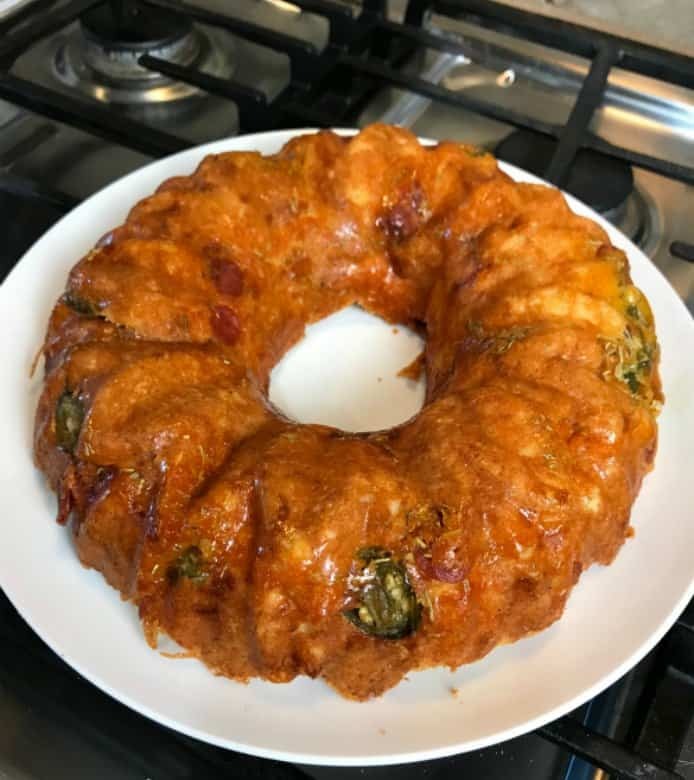 Thanks for all the great recipes!